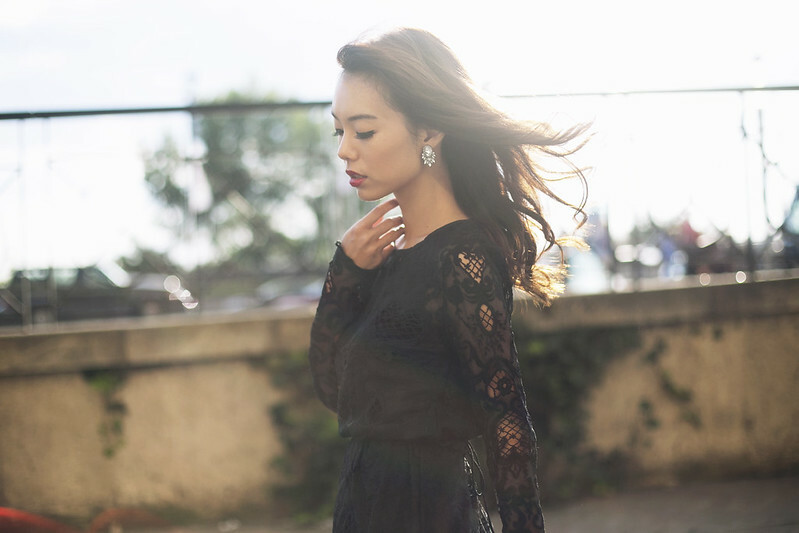 I’m wearing an incredibly lovely The Tinsel Rack lace romper for today’s post. The romper comes in Mint, White, and Daffodil, and in sizes S & M (i’m wearing size S). If you are not comfortable showing too much shoulders and skin, throw on a denim jacket, or a blazer – like the one i’m wearing. Coming back from Paris, Amanda and I felt this immense wave of ennui, and I think part of the reason can be attributed to the fact that we somewhere deep inside us, we dreamt of living the life we envisioned in Paris, and to leave that dream behind and come back to Singapore was honestly quite heart-wrenching. So we are trying to find new things and hobbies to do, recently we embarked on a food photography adventure, where I cook and she styles/ photographs – I can’t wait to show you guys how the photos turned out! We have also signed up for Yoga classes together, which is probably one of the best things I’ve ever done. I find that I need and want more positive energy in my life, and Yoga classes have been really helpful in bringing me to that ‘zen’ and calm state of mind.